My hubby told me quite awhile ago about this podcast in BFM that caught my interest. 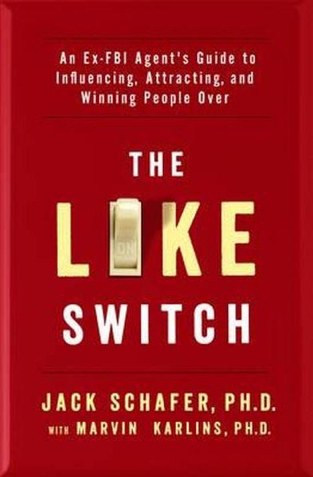 It is an interview with an ex-FBI agent on how to switch on your "like" switch, to win people over. He wrote a book on it and I saved it in my Amazon wishlist back in July when the interview was broadcasted. I was preparing for the final module in the development programme I am delivering at work (and why is the last of things the toughest?) and I was reminded of this book yesterday afternoon and before I left office, I purchased it without much delay anymore. It is a good book with a lot of things to learn, and a lot of things that I need to practice on to gain the skills. I found myself being more attentive to what I do and say when I'm with people. I was at a synergy meeting and I realized I was doing several things mentioned in the book! I also became more sensitive to how other people behave and how they say what they say. For example, my staff received a text message from a sales manager of a vendor we were using, and I was able to evaluate it as unacceptable. We have an arrangement to purchase some training materials from Singapore and we wanted to check with this Malaysian counterpart if we can now explore buying it from them instead. The sales manager's reply to us was, "So now you don't have to purchase it from Singapore anymore? ", which I found a little condescending. He should have used an empathic statement like, "Oh, are you having some issues with the purchase from Singapore? If so, how can I help you?" There are more to it in the book and it will definitely become a reference for me as I go back again and again to learn all the different ways and tactics in human communication, building of rapport and relationships and gaining influence.